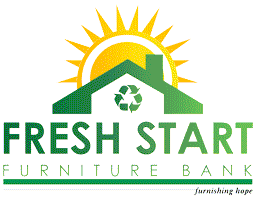 Fresh Start Furniture Bank is a volunteer run charity which helps restore hope, dignity, and stability in our community by recycling donated furniture and housewares, for free, to people in need. Our secondary goal is to keep these items out of the waste stream. 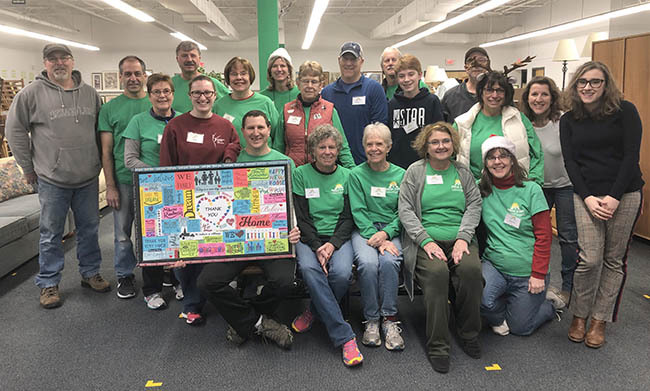 In 2018 our volunteers put in over 11,000 hours of service. The people served by Fresh Start have at least one thing in common — they need help during a difficult time. 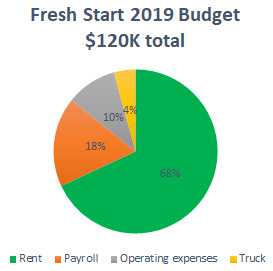 Fresh Start collects donations of furniture and home goods from the public and distributes them, for free, to people in need. In order to receive furniture people must obtain a referral from a social service agency. They then have 30 days to come in and work with a personal shopper to help them select their items. We stock just about everything to furnish a household. Information about our board of directors, finance, etc.